It was a long working day, but it didn't feel like one. When this is what crosses your mind as you park your AVERO for the night, our engineers have achieved their goal. 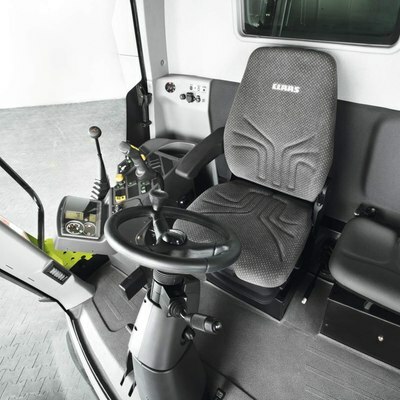 They have created a cab that is so comfortable and ergonomic that the operator can focus entirely on his or her work. Attractive design, plenty of space, good visibility on all sides and easy-to-operate instruments make a day harvesting in the AVERO as stress-free as it gets. 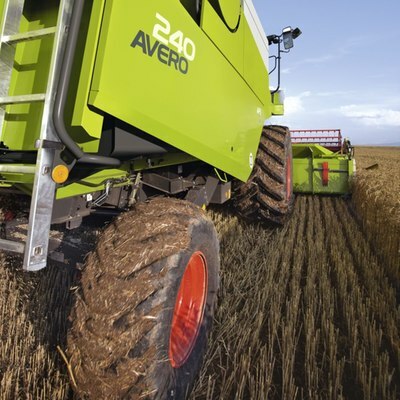 The AVERO also offers the same easy, convenient operation as the LEXION and the TUCANO. 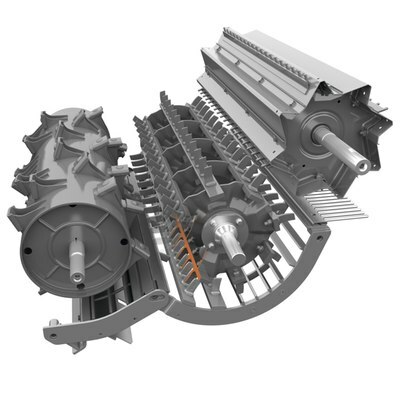 For example, the cutterbar, threshing unit and grain tank offloading are activated via electrohydraulic circuits. The lighting in the AVERO ensures excellent visibility during the twilight hours and in the dark. Up to eight work lights ensure optimal lighting of your immediate work environment. In addition to the legally required lighting for on-road use, the AVERO can also be equipped with extra lighting for folding front attachments. Electrically adjustable rear-view mirrors as well as front and side roller blinds for an optimal view. Intelligent harvest aids at work. The productivity of a harvest job is determined by how well an operator controls the combine. With its ergonomically shaped multifunction lever, the AVERO offers outstanding driving comfort and ease of operation. The compact CIS terminal is ergonomically integrated in the operating panel and gives the operator a quick overview of a wide variety of important machine data. Thus the interaction between the operator and the machine can be continuously optimised during a job. 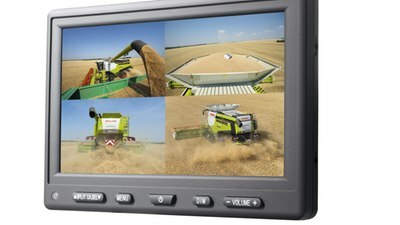 Up to four cameras can be connected to the system and simultaneously feed their images to the colour monitor in the cab. The pre-separation concave is designed as a MULTICROP concave and can therefore handle any crop. 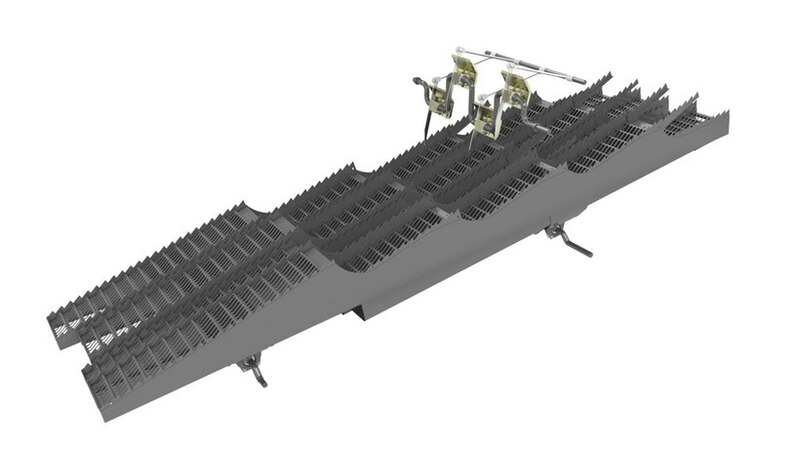 The option of quickly changing two concave sieves minimises setup time and maximises efficiency. 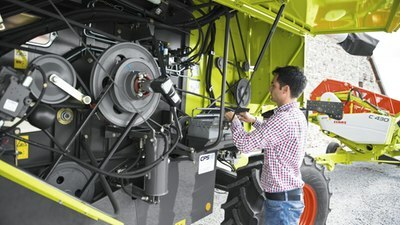 In the CLAAS APS threshing system, we have succeeded in wrapping the main concave much farther around the threshing drum than in conventional machines. No other threshing unit offers an angle of wrap of 151°. You benefit from gentle but thorough threshing with a large concave clearance and low drum speed with reduced fuel consumption. For optimal deawning and decortication, the APS threshing system is equipped with multi-level adjustment options and additional components. These include, for example, the intensive threshing unit and the deawning plates. The deawning plates are activated in mere seconds with a lever above the feeder housing. Together with the other APS benefits, the result is impressive: optimal separation efficiency combined with outstanding harvest quality. The champion in all fields. The AVERO 160 uses the classic CLAAS threshing unit which consistently provides impressive proof of its ability to handle the two key threshing tasks of removing and separating grains reliably in all harvest conditions. 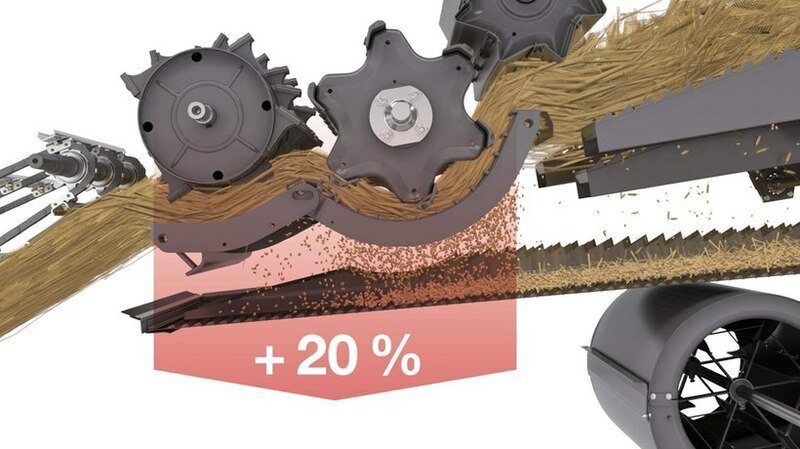 Regardless of the harvesting challenges you face, you'll be impressed by the versatile performance it delivers across the full threshing drum width of 1.06 m.
Fit for any crop. The MULTICROP concave. The concave below the threshing drum is designed as a MULTICROP concave with individual segments that can be changed easily. 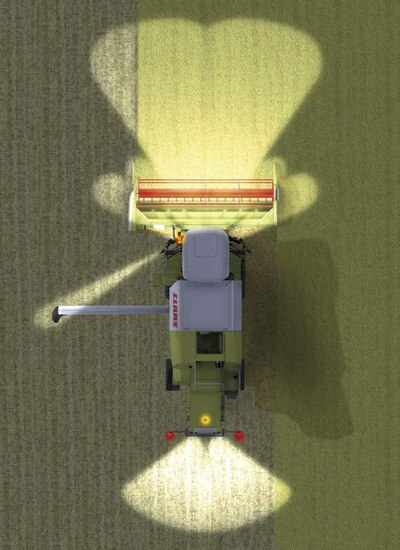 You can switch the concave quickly for a wide assortment of crops – always ensuring the right combination of clean threshing, protective handling of the crop and a high separation rate. 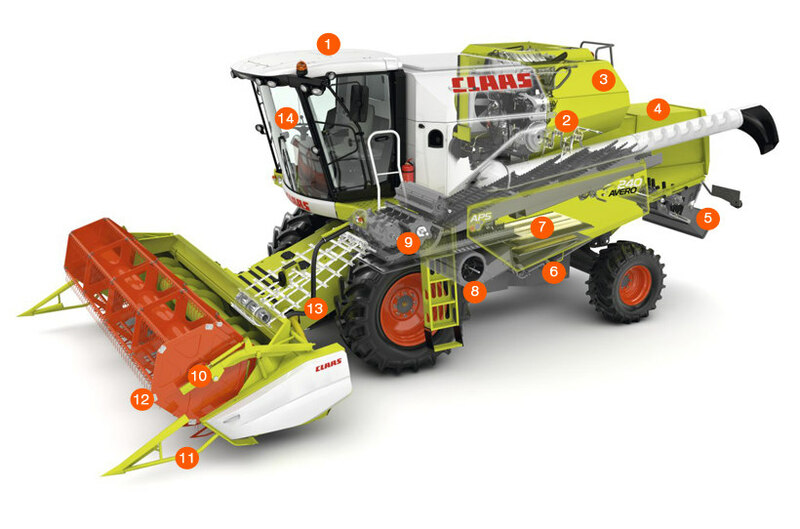 The AVERO 160 is equipped with the classic CLAAS threshing unit. The APS threshing system works so efficiently that the residual grain separation system in the AVERO 240 requires fewer straw walkers than you'd expect. Thanks to APS, 90% of the grain is already separated from the straw. Four straw walkers with four steps take care of the remaining 10%. The AVERO 240 processes as much as a comparable machine with five straw walkers without APS, but has the compact dimensions of a machine with four straw walkers. This has a noticeable economic impact. 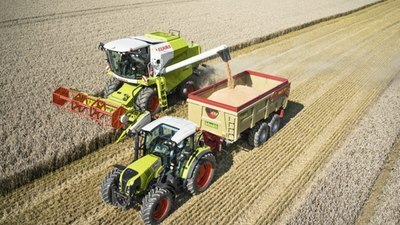 The AVERO 160 also delivers above-average performance for its size: the classic CLAAS threshing unit works perfectly in combination with the four straw walkers. 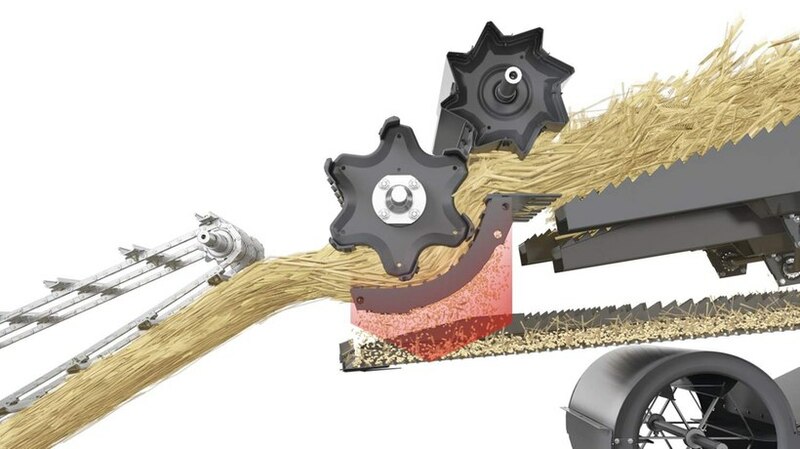 In addition, the straw undergoes intensive separation with controlled agitator tines. Agitator tines located above each straw walker dig deep into the straw, loosening and fluffing it to ensure a rapid straw flow and a thin layer of straw for the last grains to escape and effectively increase separation efficiency. A look into the grain tank: clean work. Once the threshing unit, straw walker and cleaning section have done their work, the cleaned grain is collected in the grain tank. A particularly impressive feature of the AVERO is its capacity of up to 5600 litres. However, this is but one of its many strengths. The AVERO has a rotary fan for the best grain cleaning. Its speed can be controlled from the cab, providing constant air pressure and even distribution of air across the sieves to handle varying crop loads. Forced air guidance prevents the formation of crop mats. Pre-sorting of the grains (bottom) and the chaff and broken straw (top) takes place on the preparation floor. 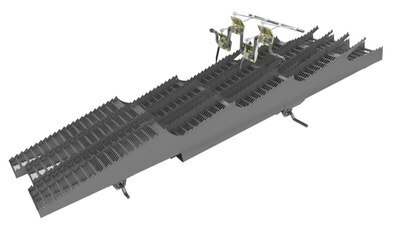 The resulting reduction of the load on the upper sieve increases cleaning capacity. The preparation floor can be removed easily for cleaning when the harvest is completed. Sometimes a glance into the grain tank can tell you more than any number of sensors. A large inspection window in the back of the AVERO cab enables visual yield monitoring, so the returns can be viewed conveniently from the operator's seat. The inspection window is illuminated for better visibility. Straw management. From small and short to long and loose. 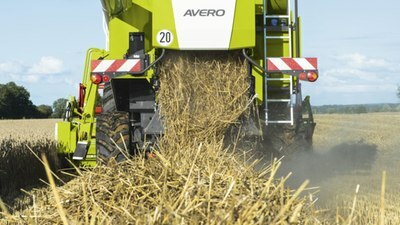 The AVERO distributes the uniformly short-chopped straw over the entire cutterbar width and blows it deep into the stubble. The discharge width is easily adjustable. 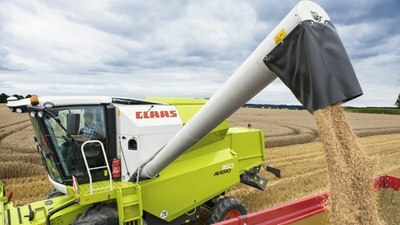 The CLAAS choppers are also equipped with a shear bar. Both components can be individually adjusted and thus adapted to the varying straw conditions. This ensures that no stalk is left uncut. Chopping takes place using rotating knives and a stationary cutting comb. The AVERO handles long straw very gently. Thanks to the protective threshing and separation process, the straw retains its full original structure, which is ideal for high-quality bedding straw. When the straw chopper is switched off, the swath is layered loosely, allowing it to dry quickly and be baled easily. AVERO 240. Tough enough to cope with rice. Takes rice in its stride: the APS threshing unit. As rice grains are delicate, a spike-toothed threshing drum is used instead of the usual rasp bar threshing drum. The spike teeth on the threshing drum rub the rice grains out of the plant's panicles. The spike teeth are offset on the bars of the threshing drum and pass between the stationary spike teeth on the threshing concave. Additional toothed bars are bolted to the impeller to direct the heavy rice straw onto the straw walkers reliably under all conditions. The chassis of the AVERO 240. The more difficult harvesting conditions in rice fields make great demands on the machine. Specially sealed axles are available for use in very wet conditions. These ensure reliability and durability, under even the most adverse conditions. Rice grains are particularly aggressive and cause a high degree of wear during grain collection and grain tank unloading. This is why there is a particularly wear-resistant version of the grain tank, in which the augers for filling and unloading the grain tank as well as the auger in the grain tank unloading tube have a special coating. C490 and C430 standard cutterbars for rice harvesting. Rice harvesting with VARIO and CERIO cutterbars. The VARIO and CERIO cutterbars are also available with special equipment for rice harvesting. As in the case of the C490 and C430 cutterbars, the intake auger is coated to reduce any wear as much as possible. Here, too, a special cutting system is available for trouble-free cutting of the rice plants. 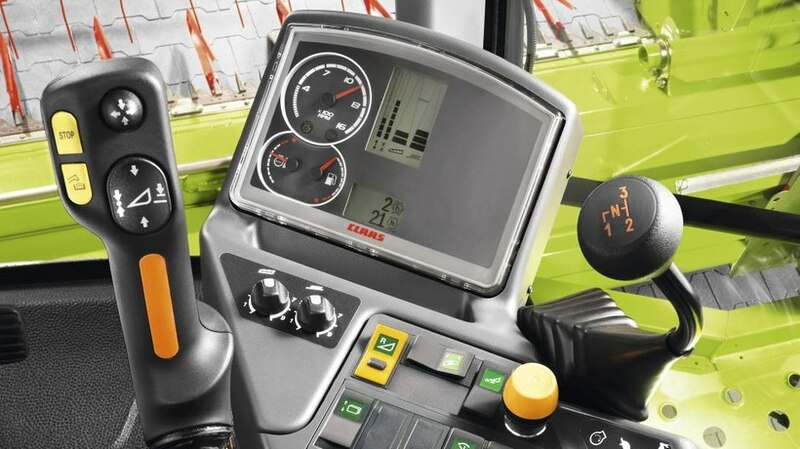 The short double fingers and the optimised crop guards ensure a precise cut and blockage-free operation. Engine. Using brawn and brains to get the job done. 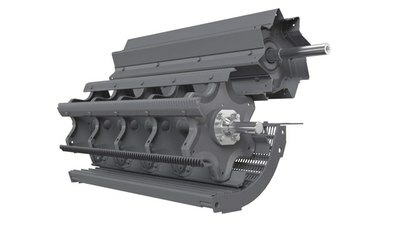 The rugged PERKINS engine offers plenty of reserve capacity and powers the AVERO through long, productive work sessions even under tough field conditions. State-of-the-art technology keeps diesel consumption remarkably low. The AVERO complies with the Stage IV (Tier 4) emissions standard thanks to SCR (selective catalytic reduction) in combination with EGR (exhaust gas recirculation) and a diesel particulate filter. The urea solution required for the SCR reaction is carried in a 30-litre tank. No additional exhaust aftertreatment equipment is required for compliance with the Stage IIIA (Tier 3) emissions standard. 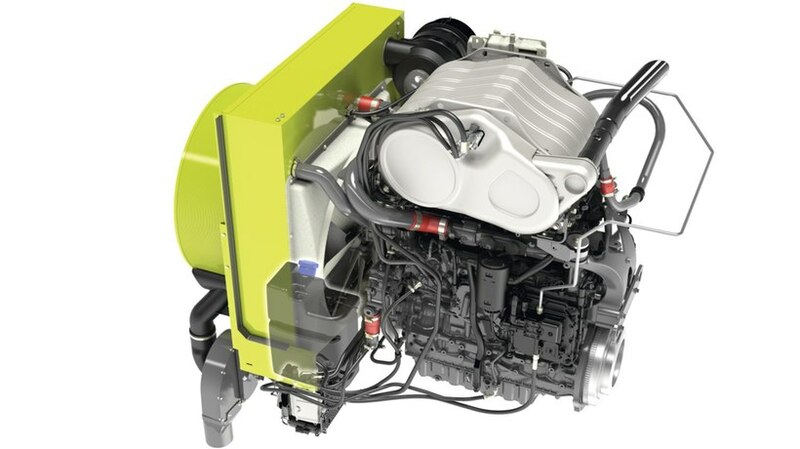 The new generation of Perkins engines with outputs of 116 kW / 158 hp (AVERO 160) and 151 kW / 205 hp (AVERO 240) allows the machines to be operated productively for extended periods, even under difficult field conditions. No engaging and disengaging the clutch, no shifting gears - just full concentration on the harvest. You control the innovative, hydrostatic ground drive of the AVERO conveniently and comfortably with the multifunction lever. Such operating comfort enhances performance. You can turn faster and adapt the ground speed immediately to the changing field conditions. The high pump volume ensures responsive handling under all conditions. Maintenance is very simple, requiring little effort or time, while the service intervals for the AVERO are long. All important maintenance points are easily accessible, and the best part is that much of the work can be done quickly by the operator. 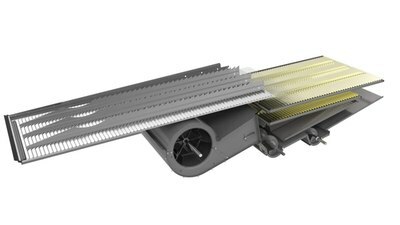 New: intelligent cooling system with automatic dust extraction. The AVERO works with an extremely efficient common cooling system for the engine, hydraulics and climate control system. 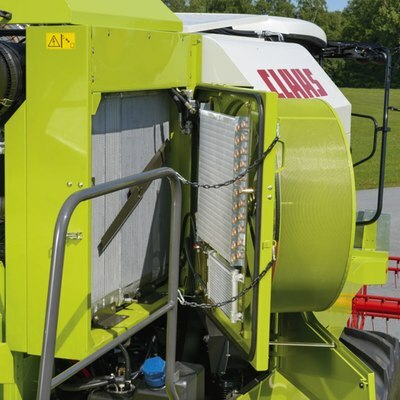 Automatic dust extraction continuously cleans the hydraulically rotating radiator frame and provides optimal cooling while it significantly reduces soiling of the cooling ribs. The radiator frame can be pivoted for better cleaning.